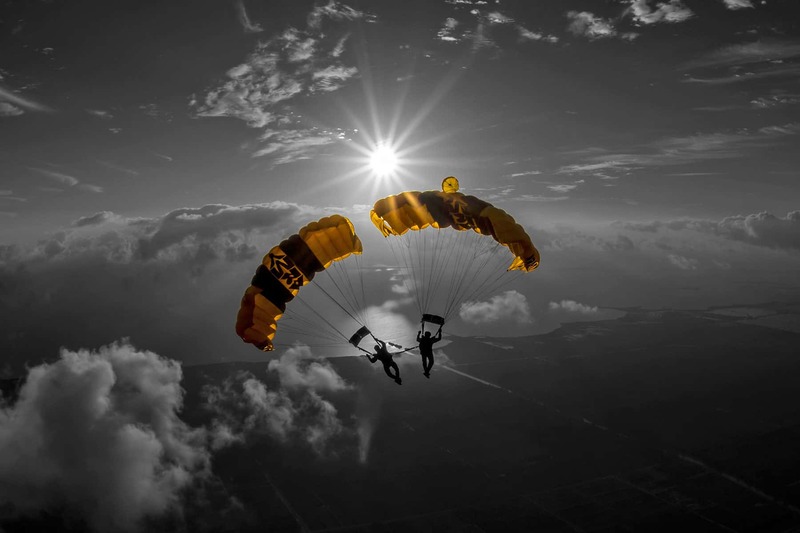 The Golden Knights are a demonstration parachute team of the United States Army. 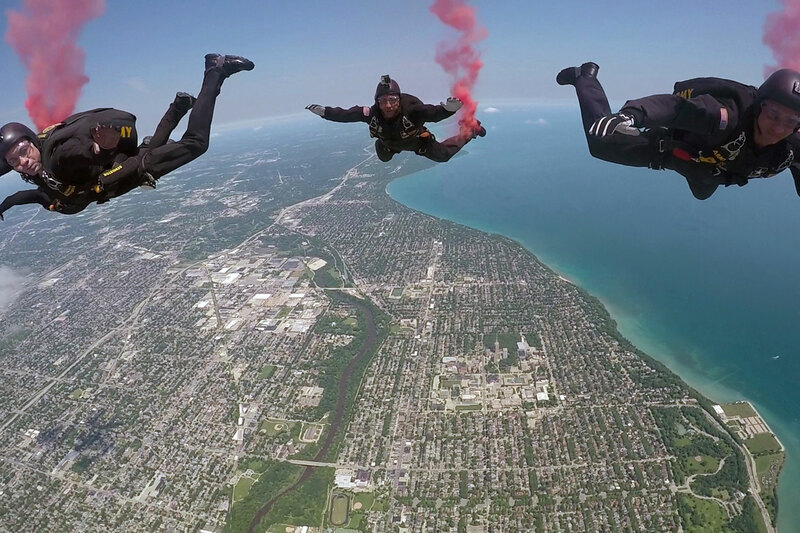 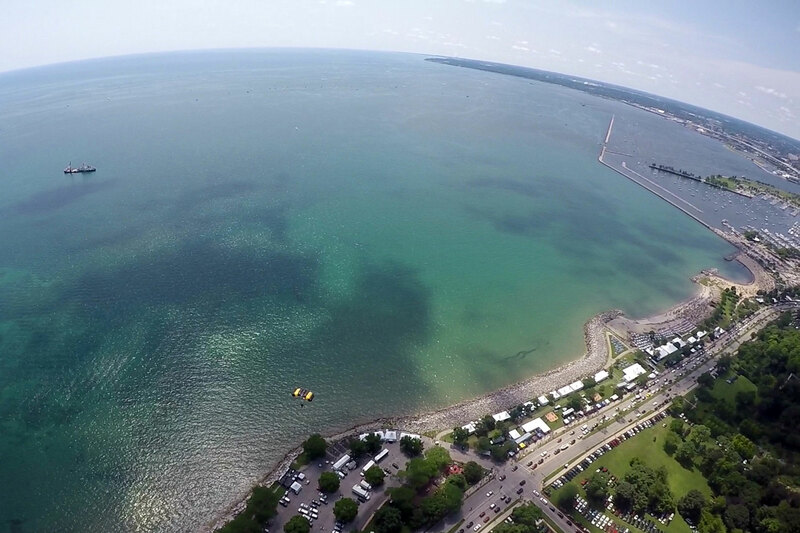 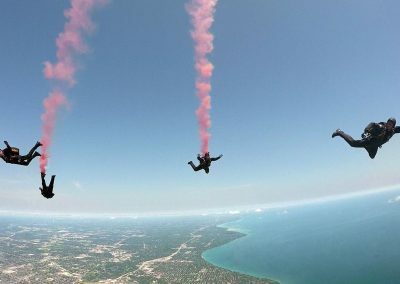 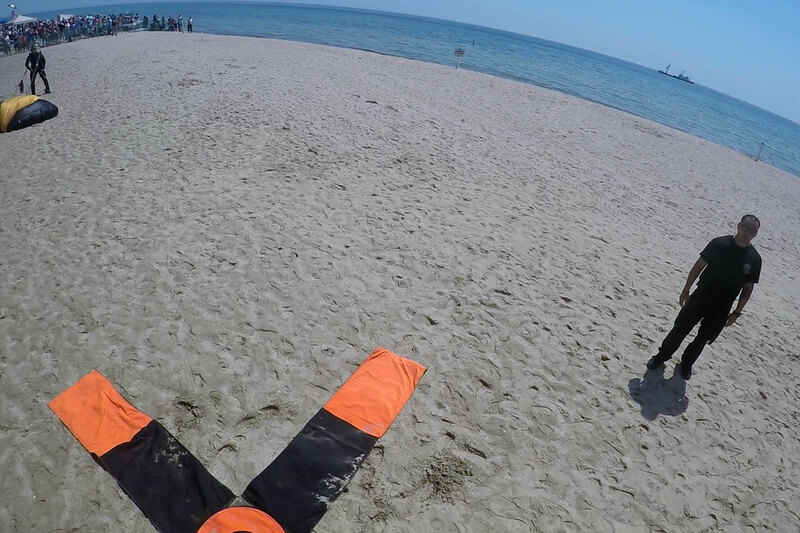 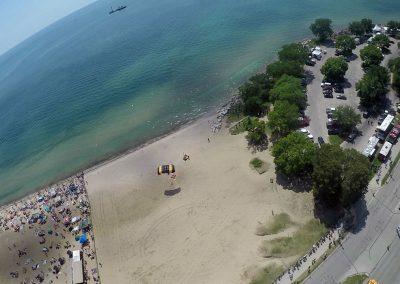 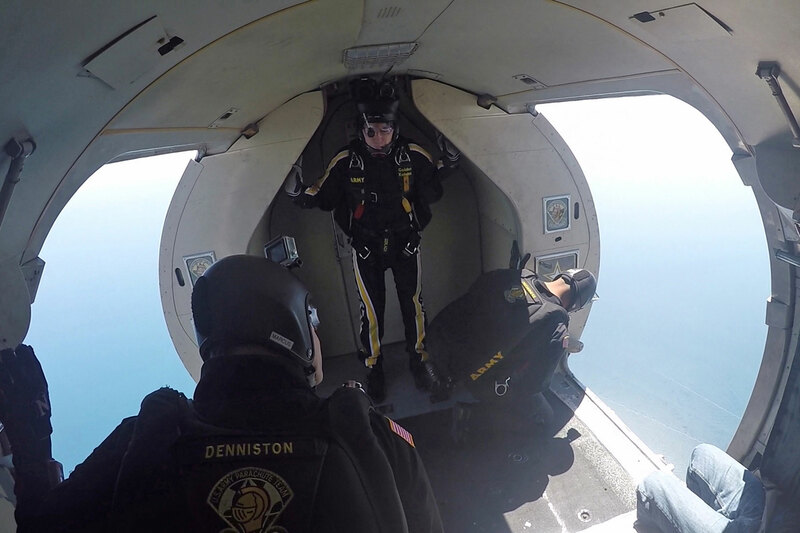 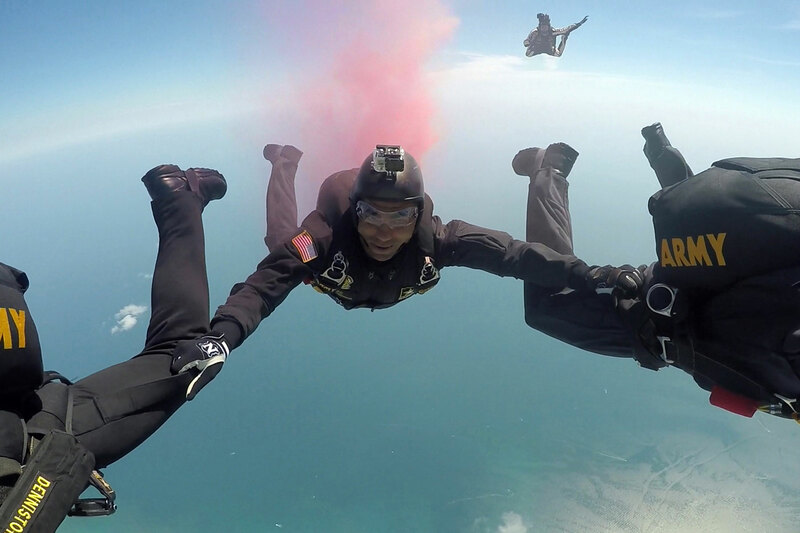 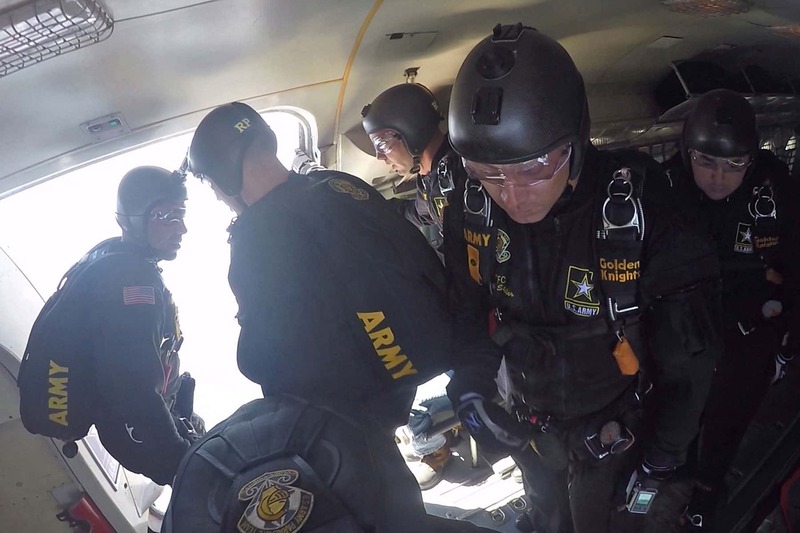 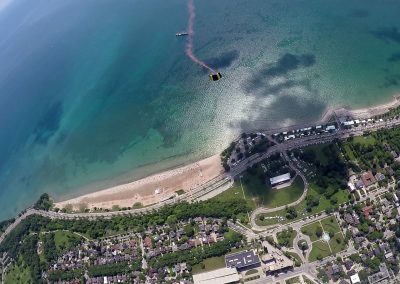 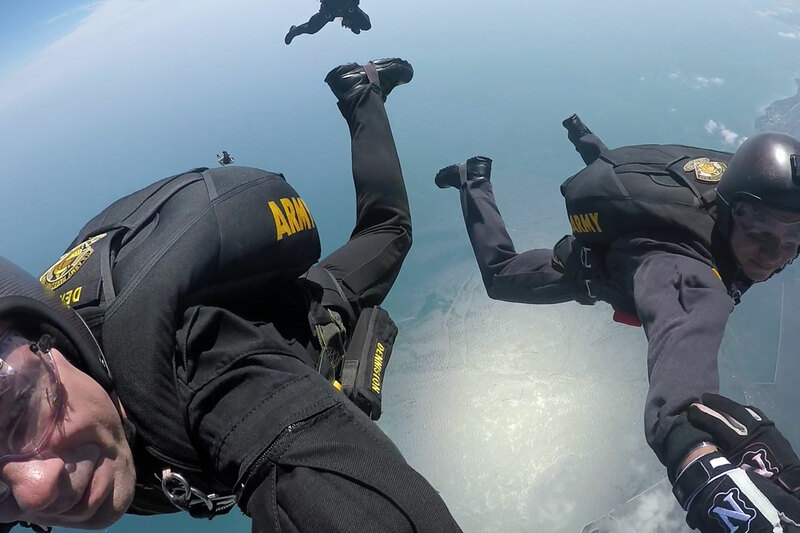 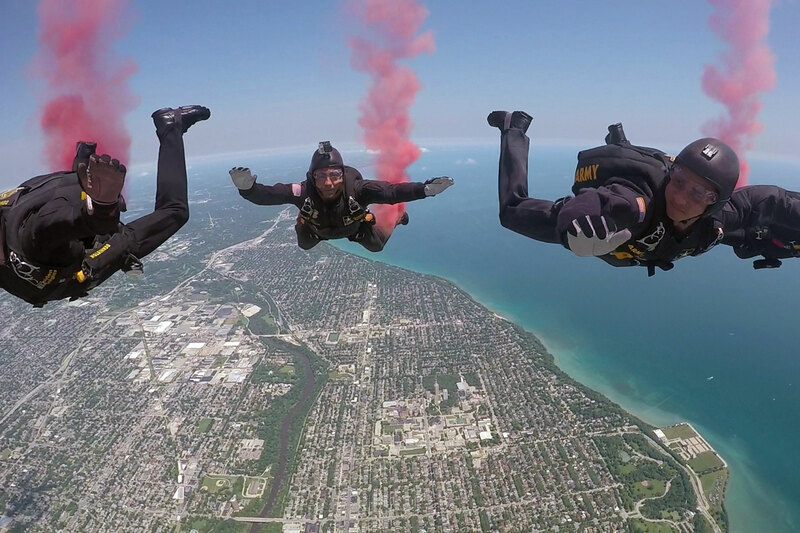 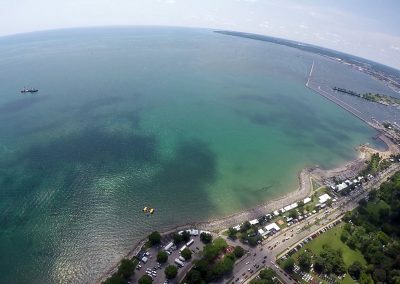 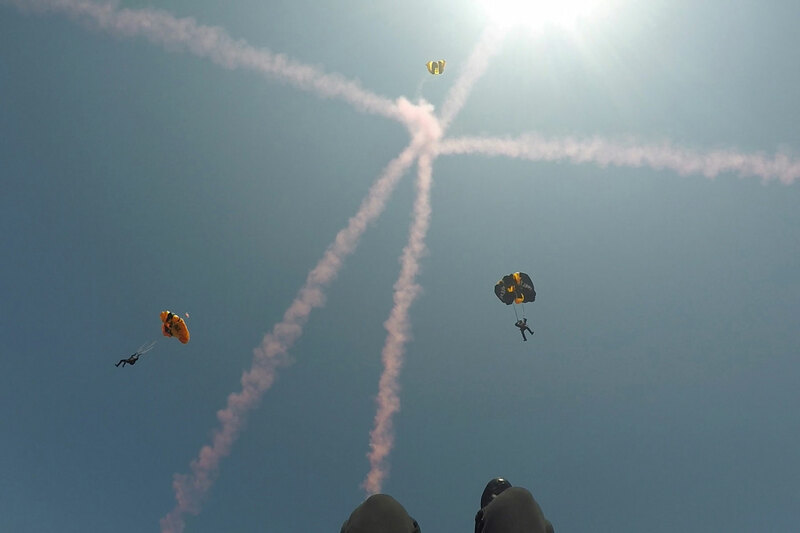 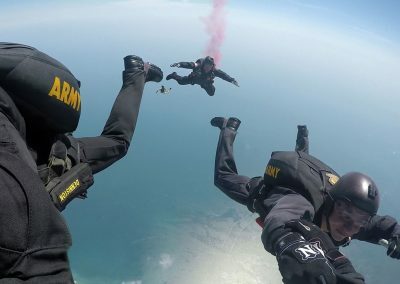 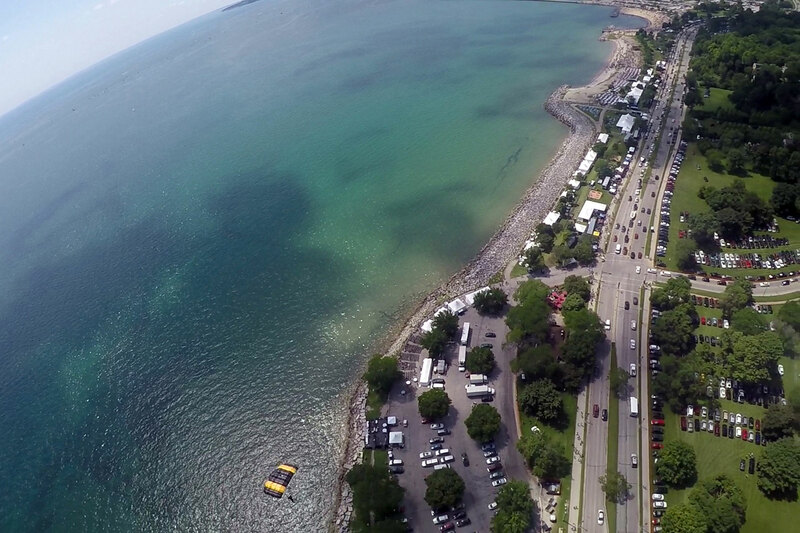 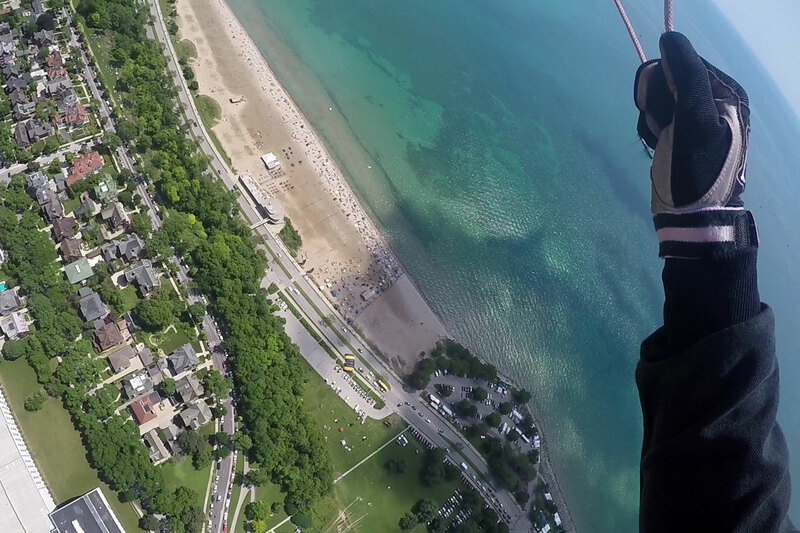 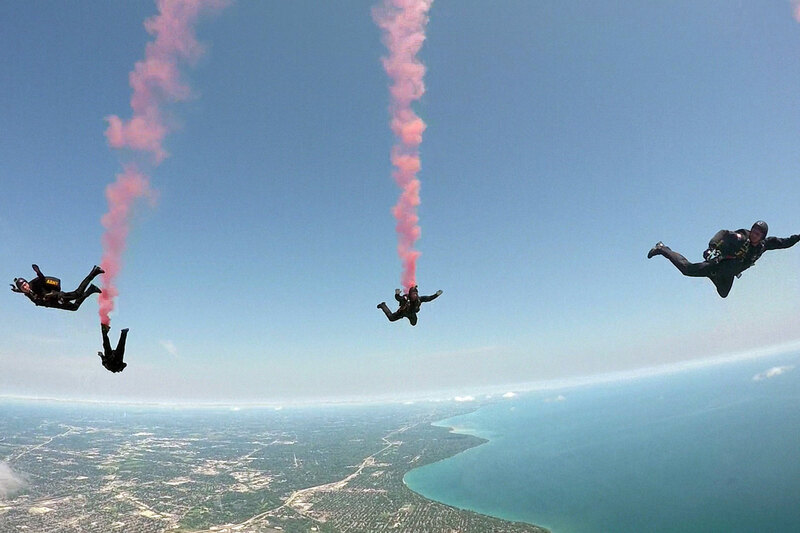 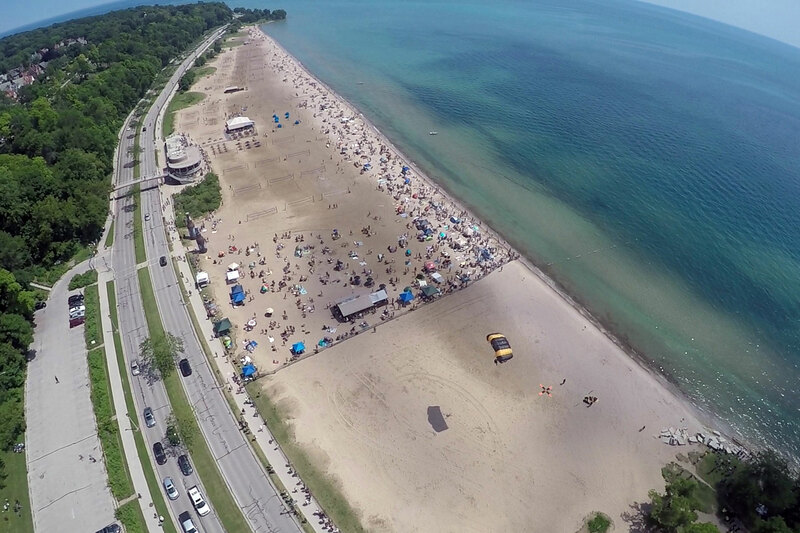 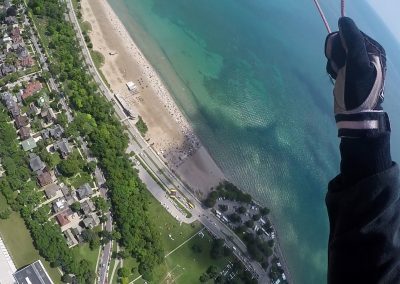 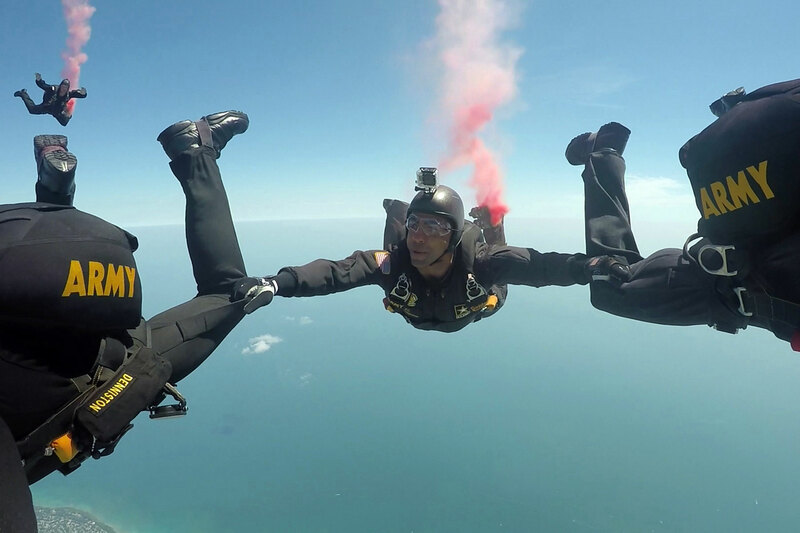 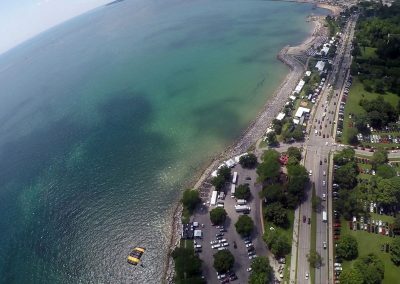 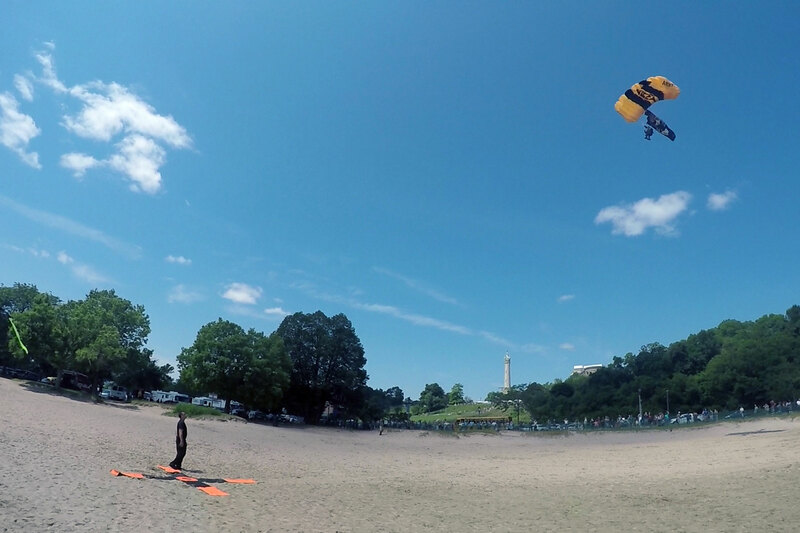 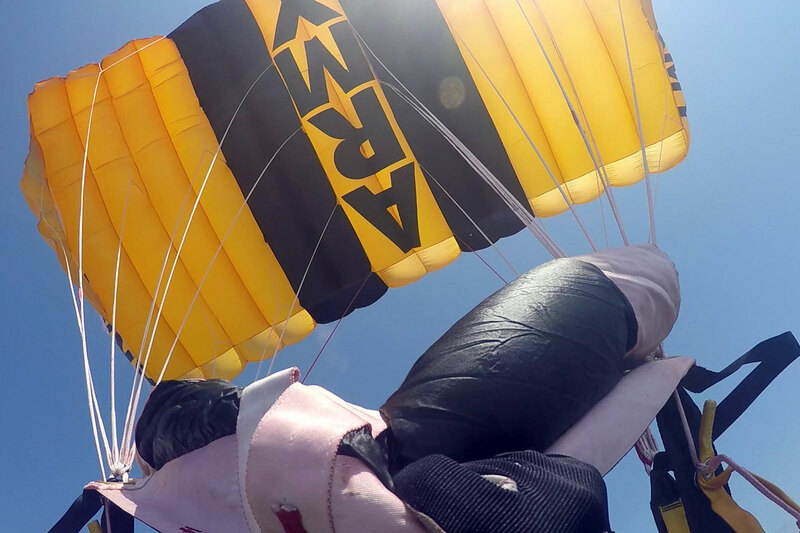 Members of the Black Team staged precision freefall landings at the 2017 Milwaukee Air and Water Show on July 15 and 16, to a crowd of thousands along the lakefront. 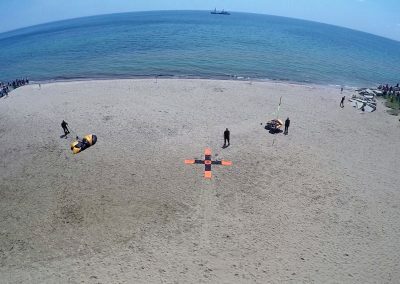 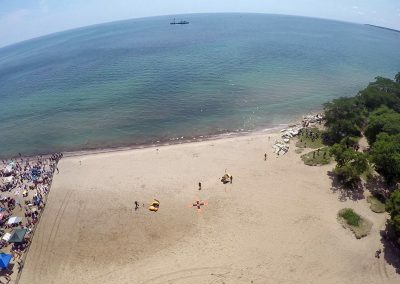 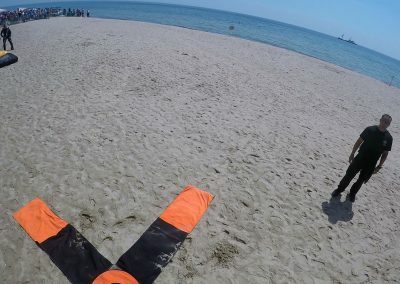 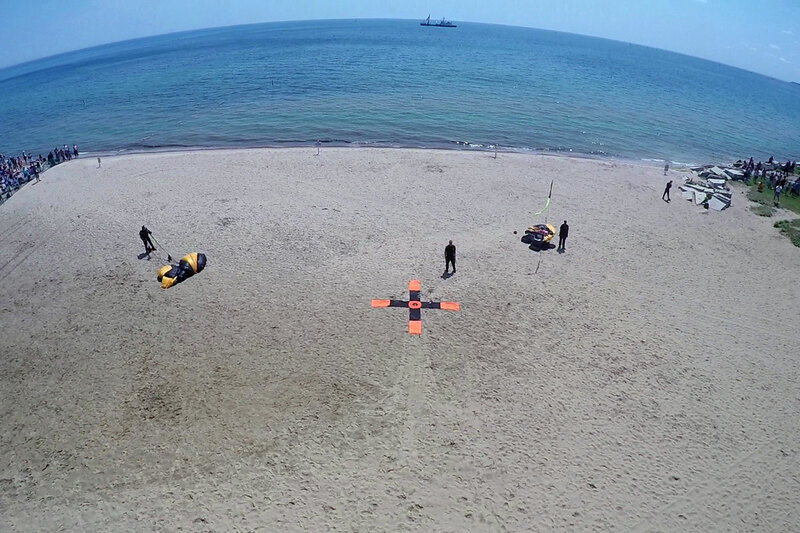 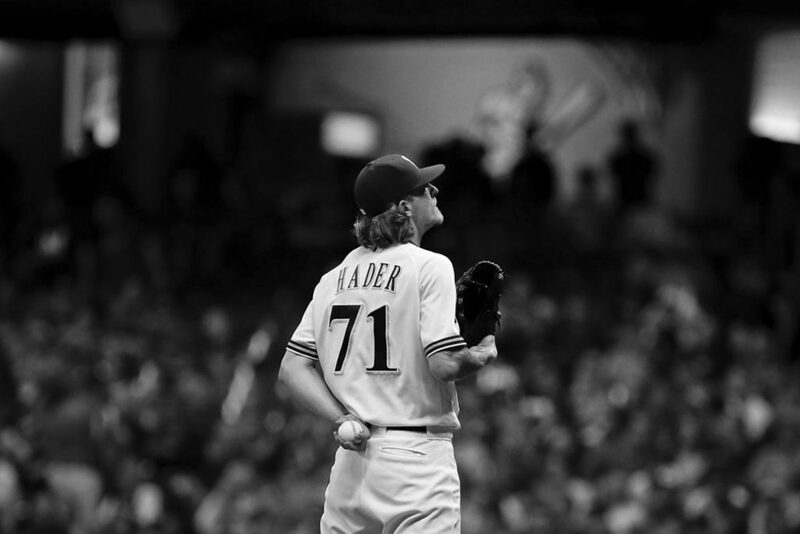 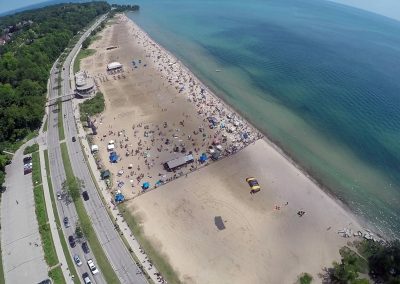 Eleven members jumped from their Fokker C-31A Troopship at an altitude of 12,500 feet and free-fell for three minutes to land with precision at a target on Milwaukee’s Bradford Beach. 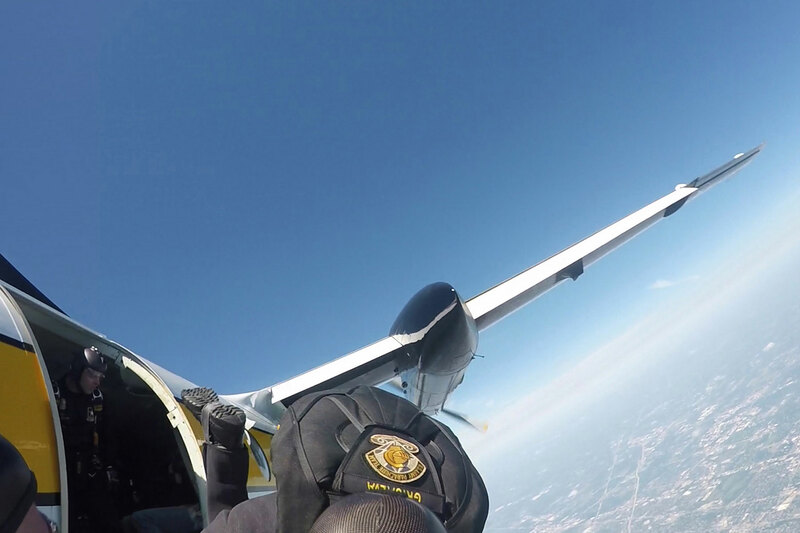 While one of the Golden Knights is a dedicated photographer with special gear to capture images and video at a high velocity free-fall, most members of the team wear GoPro cameras to record their jumps. 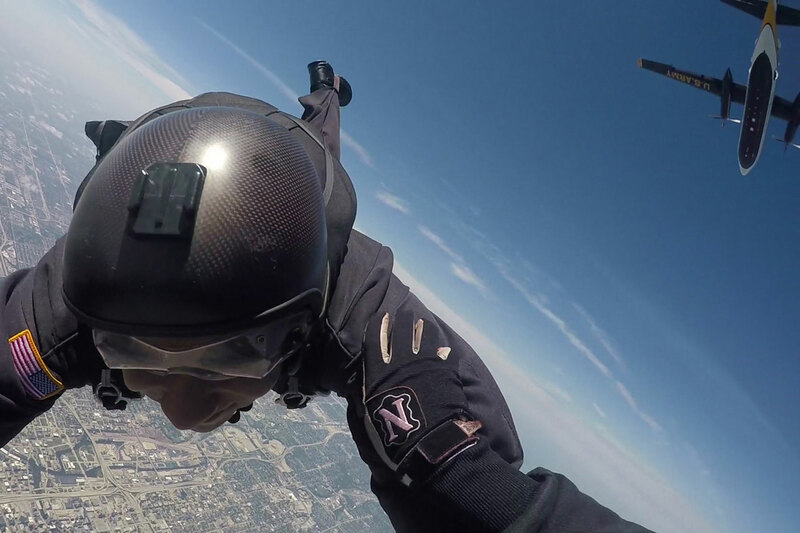 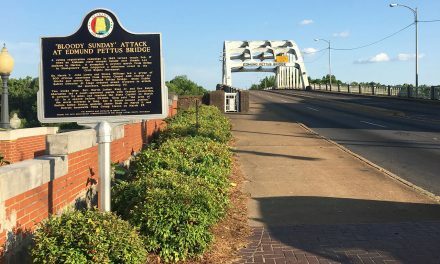 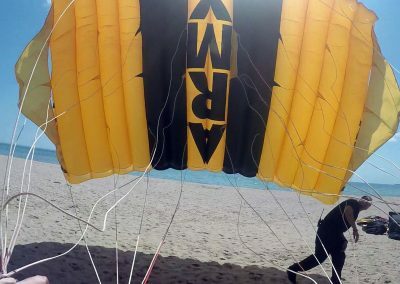 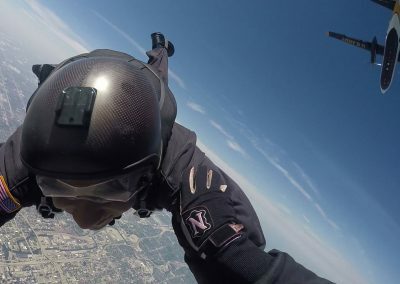 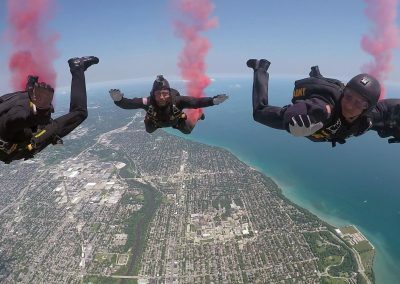 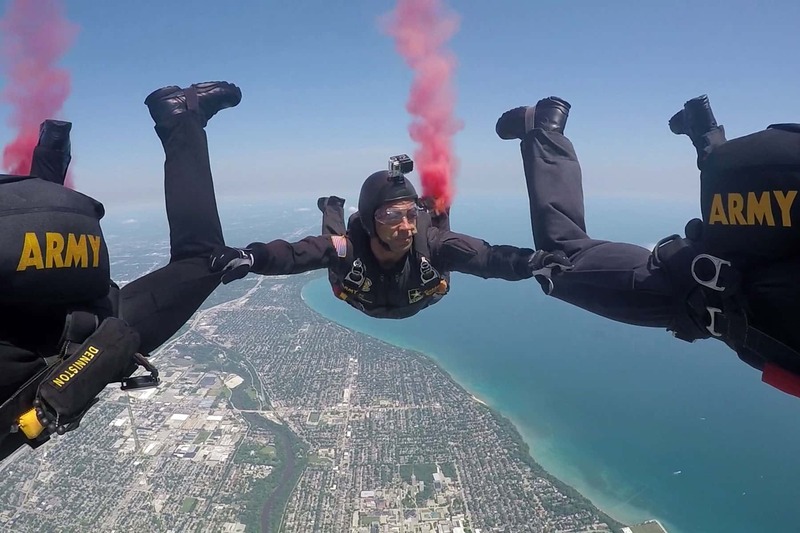 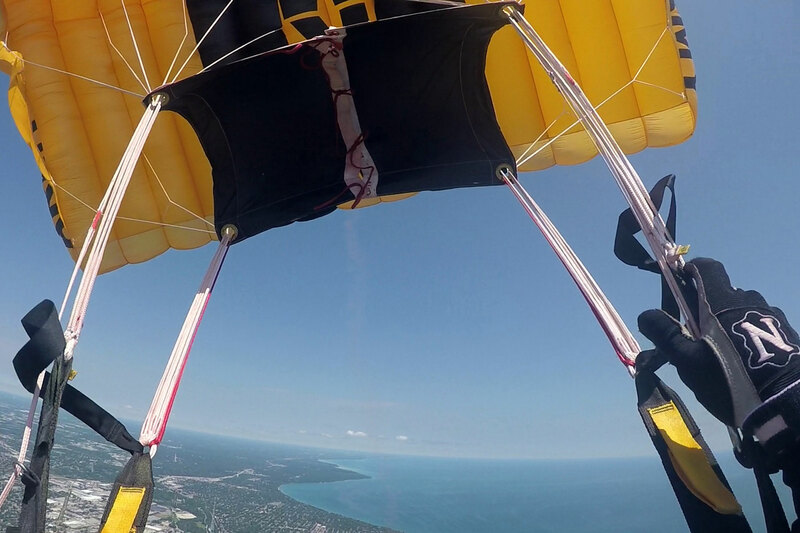 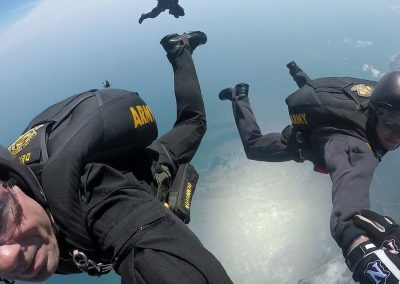 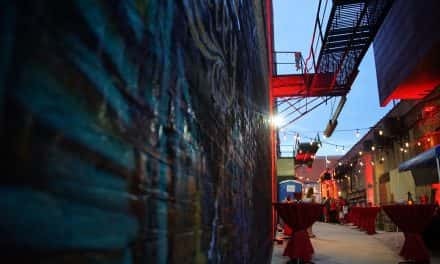 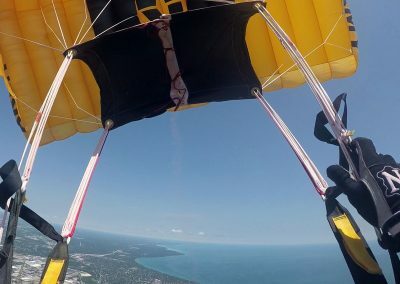 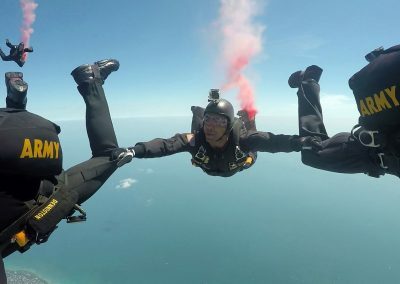 Staff Sergeant Travis Downing, member of the Black Demonstration Team for the United States Army Parachute Team, filmed his jump for the Milwaukee Independent. 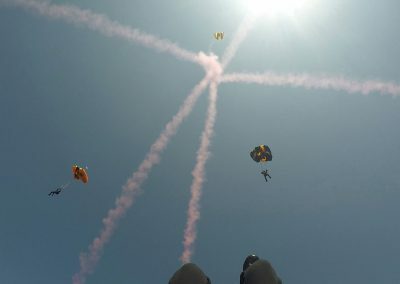 These images are a mix of stills taken from his footage and photos taken inside the plane that documented the Golden Knights performance. 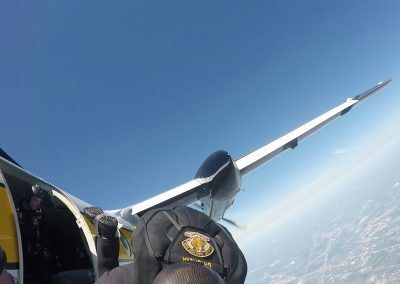 Images from the two flight days with the Golden Knights, along with a news article about their demonstrations at the Airshow event and video report of the team’s free-fall performance, can be found in the extended coverage.